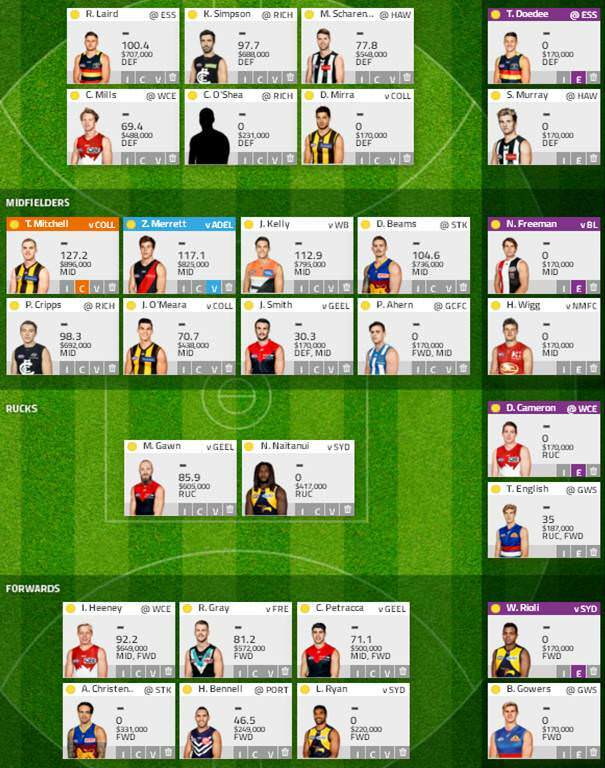 First go at my team, a few guys I was considering but kept out due to price etc. Also a few risks and players that I havent seen in some of the other sides on FF so far. Structure wise it looks pretty good. If I was being kind I'd say you have 10 keepers, one or two more would be preferred. I like the Shaz pick. Hope you have a Plan B with Bennelll. 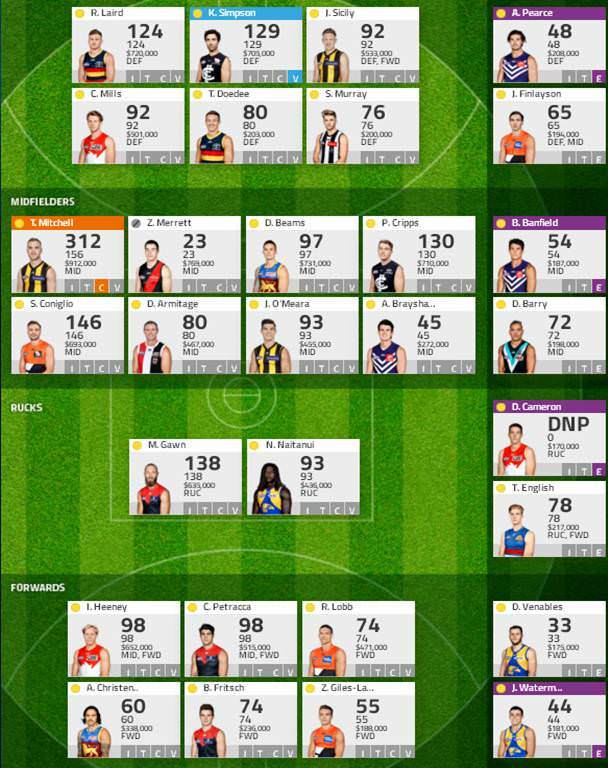 Pretty happy with my original choice on players, team pretty much stayed the same from pre season. First round went bang posting 2209 and ranking 2315. Currently have 124k in the bank, but really unsure of where to put that cash this week.